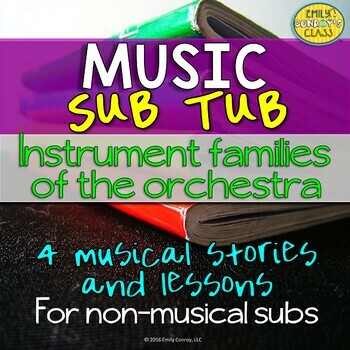 Music Sub Tub (Instrument Families of the Orchestra) is perfect for both musical and non-musical substitutes! It contains 4 original stories and lessons about the brass, percussion, woodwind, and string families of the orchestra. These 40 minute lessons can be used by music teachers or music substitutes and is a great way to integrate literacy into the music classroom. It is also “Print and Go” and only requires paper and colored pencils or crayons to implement! 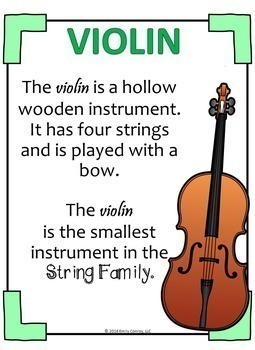 You do not have to have taught students any of the information in the lesson prior to having a sub; however, this product is an excellent way to review the musical instrument families of the orchestra. Click on “preview” to view a sample of this product. To begin each lesson, you or your music substitute will display and read the text on four posters containing four instruments from that particular instrument family. 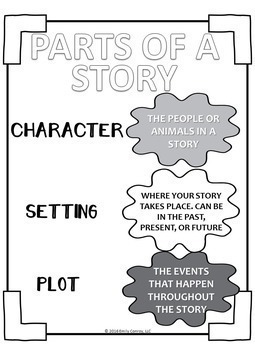 The sub will then display a poster titled “Parts of a Story” and will instruct students to listen for information regarding the characters, setting, and plot. He or she will read the original story followed by a short class discussion about the characters, setting, and plot of the story. 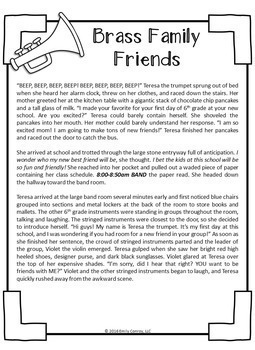 Lastly, the teacher will pass out worksheets, and students will choose one of the parts of a story (character, setting, or plot) to illustrate using crayons and colored pencils. Please go to your "My Purchases" page (you may need to login). Beside each purchase you'll see a "Provide Feedback" button. Simply click it and you will be taken to a page where you can give a quick rating and leave a short comment for the product. I value your feedback greatly as it helps me determine which products are most valuable for your classroom so I can create more for you.